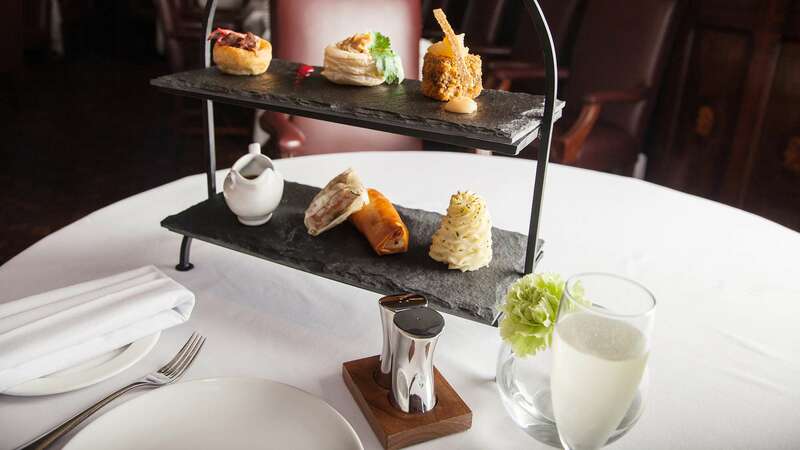 Ettington Park Hotel, part of the award-winning Hand Picked Hotels collection, is set to redefine the concept of lunch time dining by launching an innovative menu which cleverly intertwines traditional Afternoon Tea with Sunday Lunch. The unique offering is one of the first in the country and will be available for guests to enjoy from 9 April, 2017. Nestled within 40 acres of parkland in the Warwickshire countryside, the classically British mansion is the perfect setting to enjoy a relaxing Sunday afternoon with friends and family. 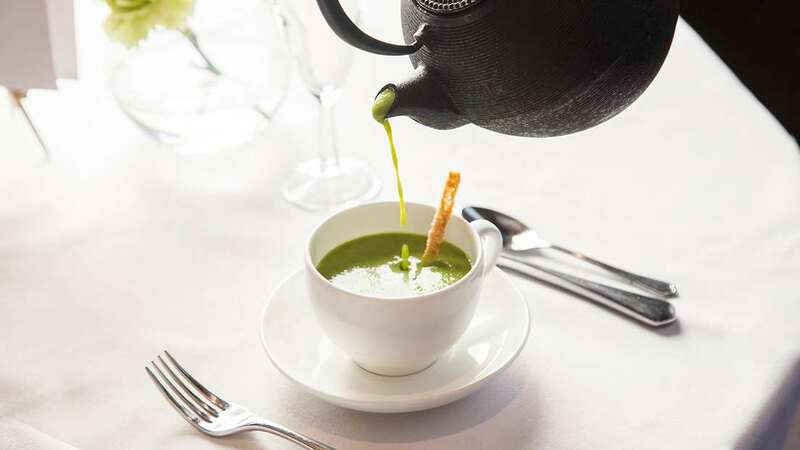 Boasting an AA 4 Red Star, the hotel will serve a delicious selection of bite-sized Sunday Lunch favourites, including pea & ham soup, a confit chicken leg vol au vent, roast beef and Yorkshire pudding and cauliflower cheese filo parcel, to name just a few delicious options. Guests can finish the meal with an array of delectable desserts, including mouth-watering apple and rhubarb crumble along with homemade scones served with fruits of the forest jam and fresh clotted cream. Ettington Park Hotel is a magnificent neo-gothic mansion in Stratford-upon-Avon, Warwickshire, which has a history that dates back to the 12th Century. The delicious new menu will be served in the hotel’s Oak Room Restaurant, the original dining hall of the property. A fitting setting to enjoy a quintessentially British treat, the room boasts impressive oak panelling, heritage cornicing and views across the hotel’s stunning grounds. Hand Picked Hotels, created by former lawyer turned hotelier Julia Hands, is the leading collection of architecturally stunning country house hotels - built for pleasure and continuing a centuries-old tradition of offering guests an indulgent yet attainable country house experience, with a contemporary twist. The award-winning collection is renowned for exquisite food, fine wines and bespoke service by Hand Picked people in stylish, relaxing surroundings. There are a total of 17 classically British hotels in beautiful settings across England and Scotland and 3 Channel Island retreats, with locations ranging from the New Forest and Jersey to Yorkshire and Edinburgh. Hand Picked Hotels has won an impressive number of awards, with 15 hotels awarded two AA rosette status and Grand Jersey holding three rosettes. Ten hotels have achieved red star status which means they stand out as the very best in the British Isles. There are also ten hotels with spas offering the latest therapies and treatments to promote well being and relaxation. Hand Picked Hotels was AA Hotel Group of the Year 2012-2013.